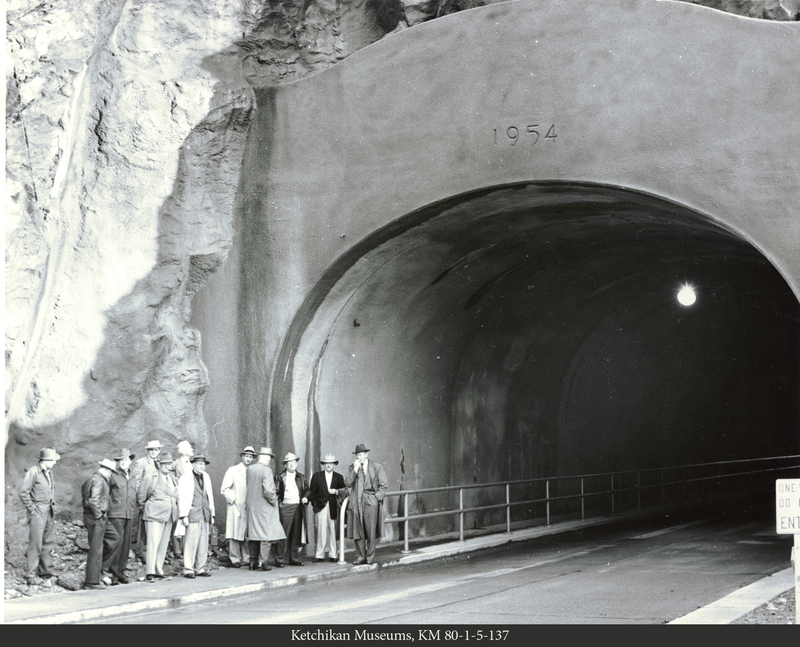 The tunnel is under construction as Water Street is being widened by construction of a new concrete viaduct. The shingled building on the right is the old Civic Center. 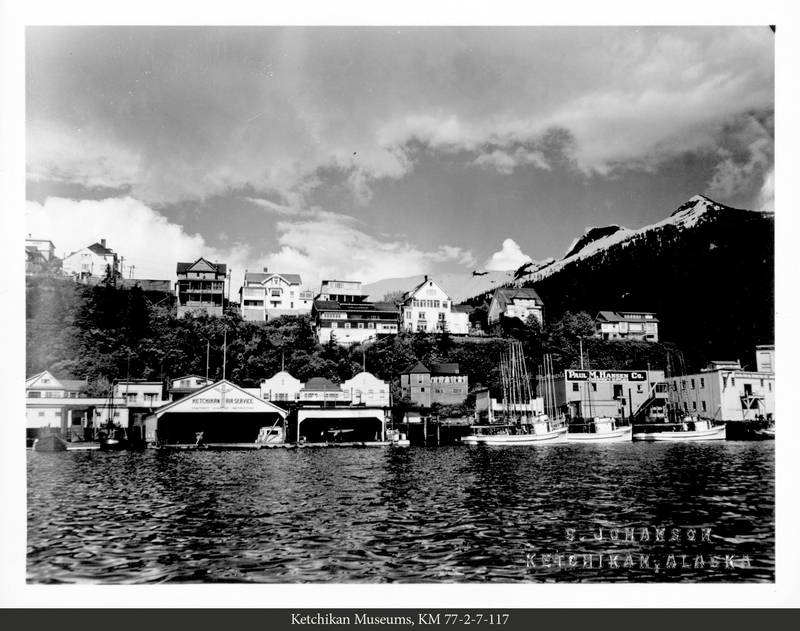 By 1910, Ketchikan had begun its march northward along Tongass Narrows. The Newtown area had already become developed and more land was sought farther from the area around Ketchikan Creek. 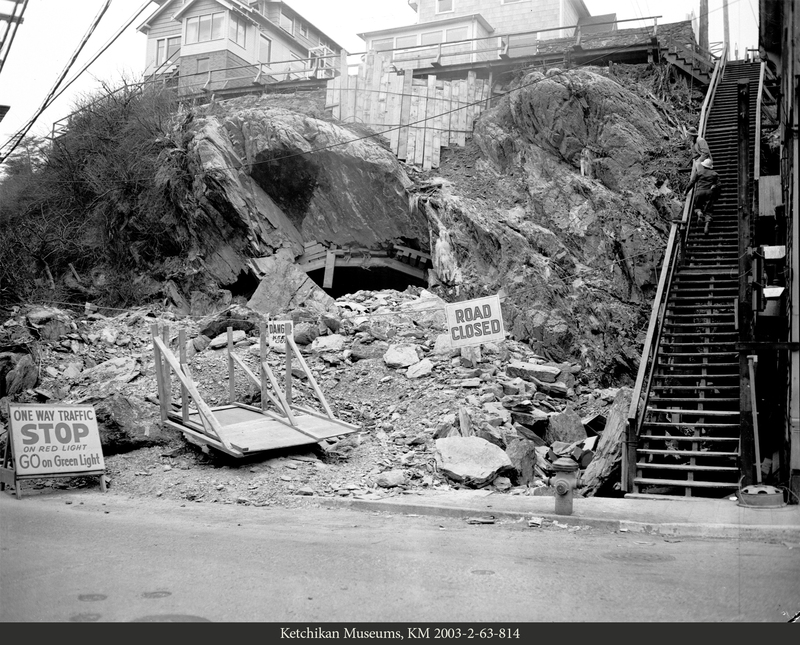 The first primitive boardwalks and beach roads were being built northward toward what is now referred to as Ketchikan's West End. Initially, much of the development north of Newtown was spurred by canneries built out on pilings along the water front, but soon housing also started to sprout up as people sought to build on land outside of town, but still accessible to it. By the mid-1910s there was a rudimentary road out to Charcoal Point, near the current Alaska Marine Highway Terminal, where there was flat land for development as well as a shallow area in the Narrows where boats could be moored. 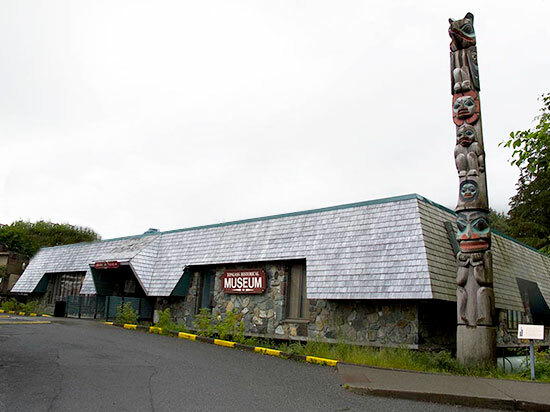 The Charcoal Point Road was the beginning of what its Ketchikan's main artery, Tongass Avenue. 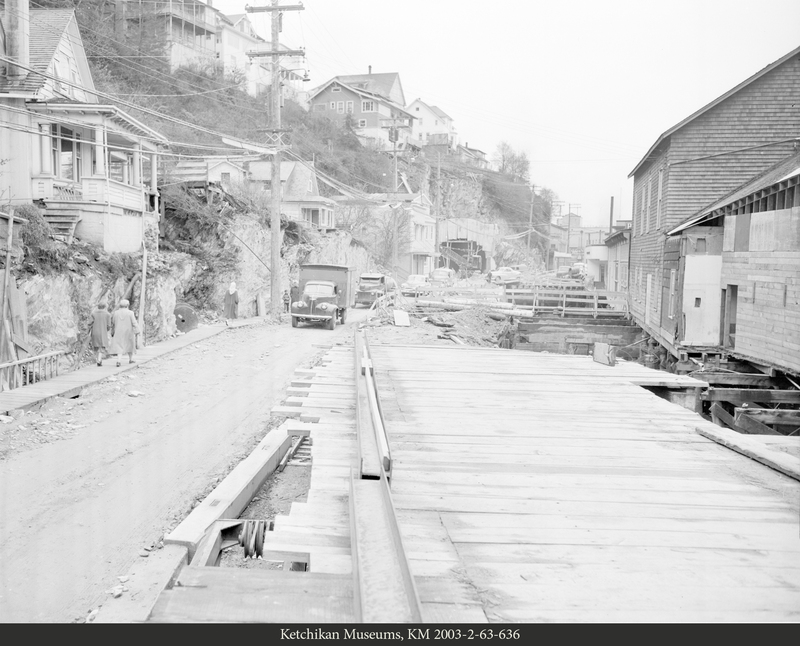 Another road north ran parallel to Charcoal Point Road, when the Water Street viaduct on Captains Hill - above what is now the Lutheran Church, began to take shape. 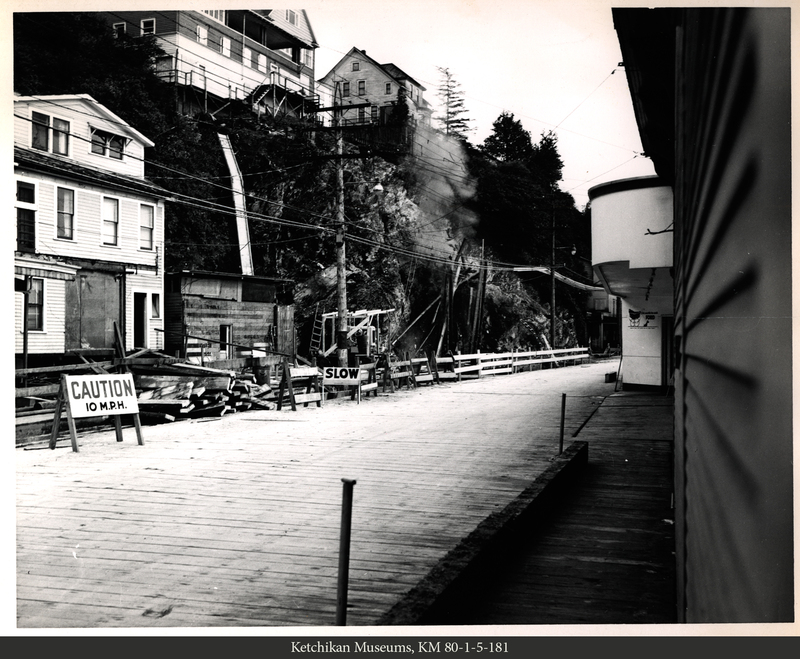 Like most early Ketchikan streets, Water Street was built on pilings, in this case on the hillside. It remains a hillside viaduct today, although it is mostly concrete. This area is the narrowest part of Ketchikan, only a couple of blocks wide, and lends credence to the common description of Ketchikan as 10 miles long and two blocks wide. 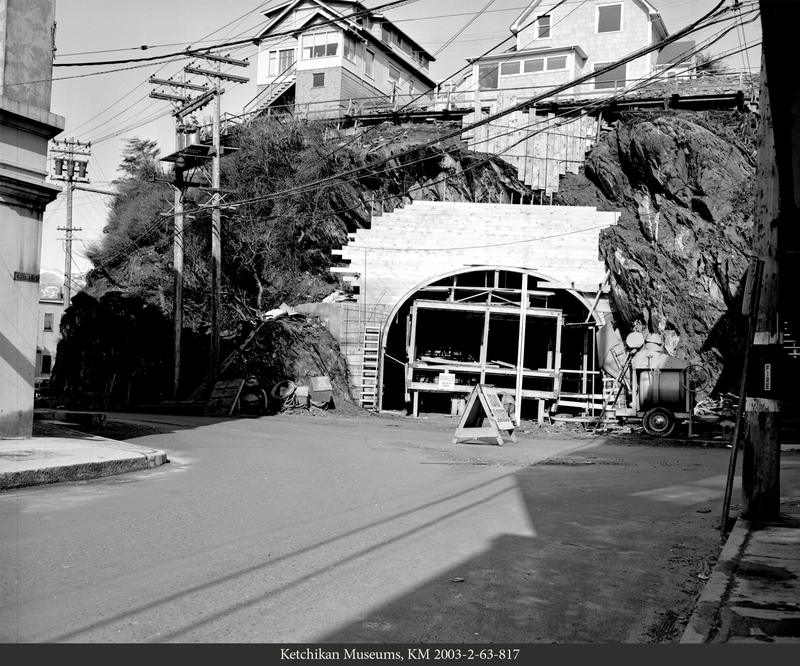 By the 1920s, this area of Ketchikan was an industrial engine for the community supporting several canneries, two shipyards and numerous other, mostly fishing industry related, businesses. 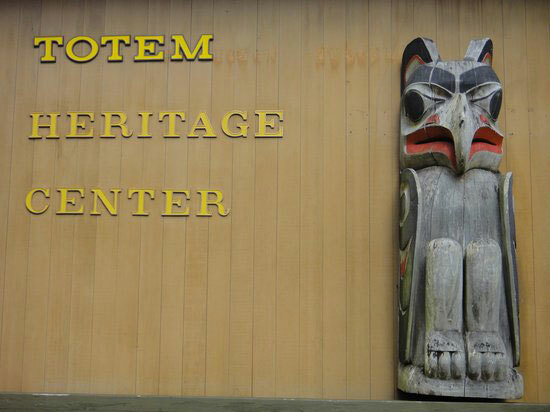 In the 1930s, it also became the center of Ketchikan's growing air transportation industry. After a full-size airport was built on Annette Island, 20 miles south of Ketchikan, during World War II, the air taxi business boomed as float planes and amphibious planes were required to transfer passengers from Annette Island to the Ketchikan waterfront. Numerous small (often one or two plane) airlines operated in Ketchikan. But the most prominent company was Ellis Airlines, which used a fleet of more than a dozen military surplus Grumman Gooses and Consolidated PBYs to service all of Southeast Alaska. Ellis also ran the largest flight school in the region and trained two generations of Alaska bush pilots. Ellis eventually merged with Alaska Coastal in Juneau and the combined company became part of the expanding Alaska Airlines in the late 1960s. The new airport was built on Gravina Island in 1973, which changed the air transport industry into an air taxi service for the outlying communities and the logging camps. After the timber industry mostly shut down in the late 1990s, the flight industry transitioned into flight seeing for the rapidly growing visitor industry. When the Ketchikan Pulp Mill opened in 1954, there was significant growth in Ketchikan's West End with housing developments springing up and a significant amount of economic activity moving two miles north from Downtown. Later the Plaza Port West mall and two large grocery stories further cemented the West End as Ketchikan's economic center.